Hey there, Steph here! I’m taking over the blog today to give you a different perspective on some products and brands that work for me. Before we begin let me tell you a little bit about myself. I'm Sami’s best friend of thirteen years, roommate of two years and sometimes her photographer. You could say I'm the full package. I love makeup, travel, food, working out, and my precious dog Tibs. (shameless shout out, he has an Instagram @tibs_the_pyr). Well now that you know me, let's begin! The biggest way that Sami and I differ is that she has dry skin and I am super oily. So to help all of you ladies out there, here are my tried and true products that help me control my oily face without looking cakey. I start everyday using The Body Shop’s Tea Tree facewash, toner, and moisturizer. It is designed for acne prone skin and even though I'm past that phase of my life (bless) I find that it clears off all of the oils on my face without drying me out. When I'm wearing a full face of makeup, I always use a primer. Learning how to use a primer has changed my life. I use NYX’s Eyelash Primer for false looking lashes that are really yours. I also use Smashbox’s 24 Hour Photo Finish Eyeshadow Primer because there is nothing worse than creases on your lids. But, if you're going to only purchase one primer, I have found that Hourglass’s Mineral Veil primer is the absolute BEST. It works under any foundation and doesn’t leave a residue. My older sister told me about it and I didn’t want to commit because it's expensive but after I ran out of my tester simple I immediately went back and bought the full size. Plus a little goes a long way, I've been using it for years now and I just started my second bottle. When it comes to foundation, it really is a personal choice. Lancôme Idole Ultra 24 Hour Liquid Foundation: I've used this for years and I love it for special occasions. It's a full coverage foundation so I personally don't love wearing it everyday. Hourglass Immaculate Liquid Powder Mattifying Foundation: This is my favorite foundation ever. It's a little pricey but if you feel as though you’ve tried everything else and nothing is keeping the shine down, this foundation is the way to go. It goes on like a liquid but magically turns into a matte powder. I honestly don’t know how it does that but I promise you it looks and feels amazing! Rimmel London Stay Matte Liquid Mousse: This is my steal pick of the day. It only costs 5 dollars at Ulta! This foundation is my newest purchase but so far I can say it will be an item I purchase again and again. I recently went on vacation to Hawaii and got a tan so none of my foundations matched anymore. I didn’t want to spend upwards of $50 on a foundation I would only match for a few months so I did my research and this was the winner. I know that was a lot of foundation but stick with me because I'm almost done. I finish off my look with Urban Decay’s De-Slick translucent Setting Powder and if it's going to be a long, hot day I will also use their All Nighter setting spray. I also have a travel size of the setting spray that I keep in my purse to freshen up my look throughout the day. My last tip is to purchase face wipes from Costco, Target or even your local Grocery store and keep them in your car, bedside table, purse and backpack because sometimes there is nothing you can do to keep the oil away except to start fresh. I’m always looking for new products and beauty secrets to try so if you have any recommendations please leave them in the comments below! I don't have oily skin but I love using tea tree to combat breakouts it is my lifesaver! I use tea tree occasionally for my dry skin and it's great! I've heard awesome things about that Rimmel Foundation! Stephanie swears by it! Plus you can't beat the price! "You could say I'm the full package." Ha! Love it! There are a few of these I've never tried before, so I'm interested in your opinions. I love the Rimmel foundation, the only issue is I have trouble making it not cakey! I believe Steph tries to really attack it with her beauty blender so that doesn't happen, haha! 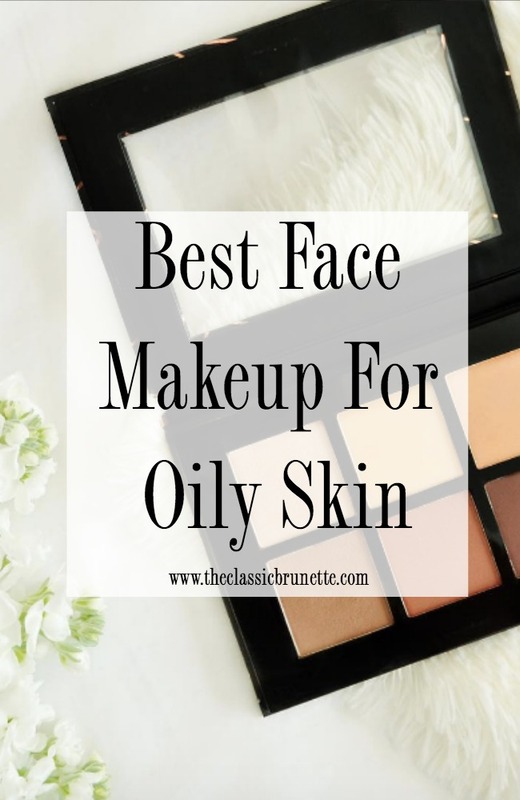 I have oily skin, so I really appreciated this post! I've really gotten into The Body Shop products lately, so I'll have to check those products out. Yay, glad Steph's post could help you out!! This post is perfect! My skin is so oily, I'm trying these products! Such great products! I may need to check these out! Thank you Amy! I'll let Steph know you enjoyed her post! I need to try ALL of these!!! I've never had bad skin (thank god) but I do have a small bit of combo skin and throughout the day my T-zone gets oily! I can't wait to try that Smashbox one! I have oily skin and I would love to try out the Urban Decay setting powder. Steph really loves it! Let me know if it works for you! Love this post! I have oily skin and that urban decay setting powder is AMAZING. I swear buy it! Thank you! I would love to know about the SPF you use so I could pass it along to Steph! I have super dry skin!!! but these sounds great! Personally, I struggle with dry skin but I will share these with my sister, thanks! Same here Shane! I have some other posts about my skincare routine on the blog if you want to check them out, but hopefully your sister enjoys this post! Haha, glad Steph's guest post was helpful!! I'll let her know you liked it, and I hope the primer treats you well! Thanks so much, I'm glad you enjoyed the post! Hope some of these products work out for you! 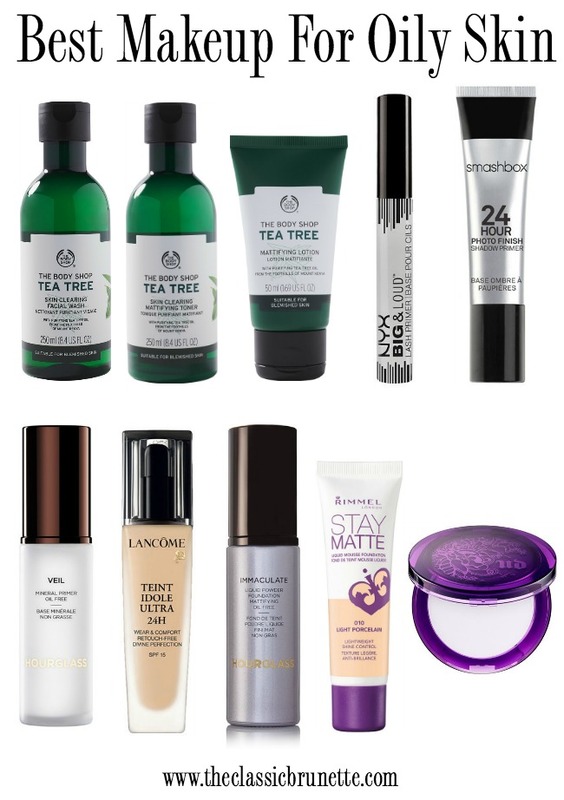 I don't really have oily skin myself but the products here look great! I got super oily skin. Recently I did my fall make-up lesson . I got to know about skin types and all other facts from there. I am so thankful to Lina, cause of her makeup lessons, also all those tips she shared with us and her care for us noticeable. If anyone will to do any makeup course, I will must suggest her. A very useful review! Completely agree that water based foundations look the most natural! I'd like also to add that in order to make the foundation look good you also need to stay hydrated during the day. It is really important to keeping you look refreshed. Moreover, drinking lots of water will also flush out impurities from the skin.